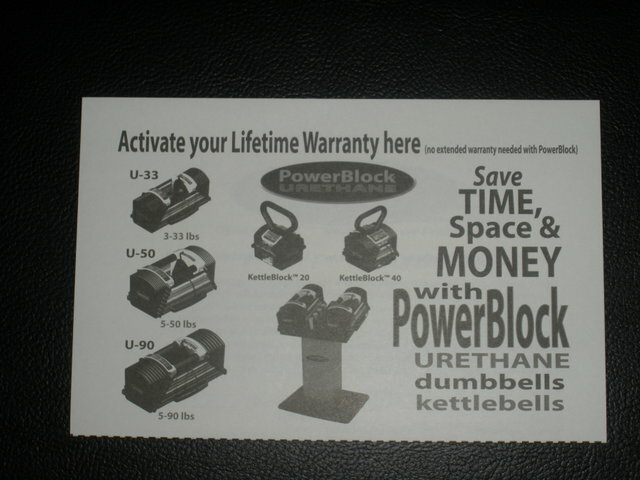 Powerblock U-90 Review and photos by Unbreakable09. Here's a little background before I get started with the review. 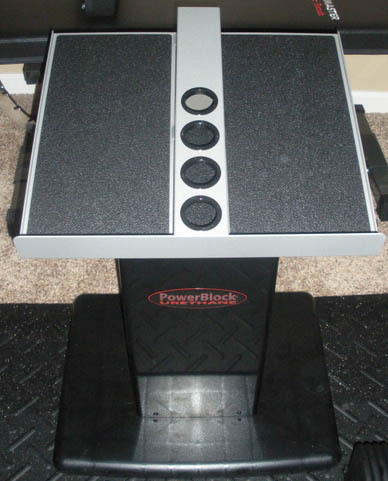 So a couple weeks back, I scored a nice deal on a pair of Powerblock Elites (5-130lbs) with a stand for $350. At the time, I planned on just immediately flipping the Powerblocks for about twice as much since I had the Ironmasters. 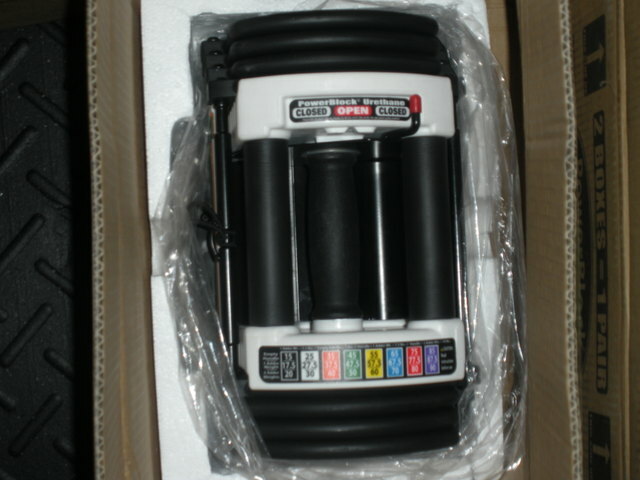 As soon as I got home, I put the Powerblocks on craigslist for $650. 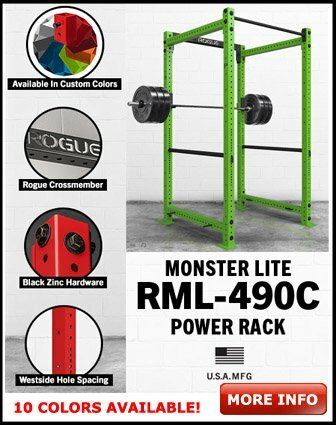 Until they were sold, I figured I would use them to see what I was missing out on, since I bought the Ironmasters without testing the Powerblocks. 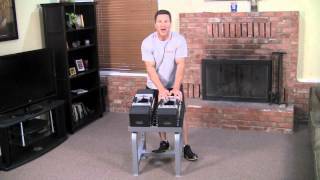 My first workout with the Powerblocks was on a chest day, and I was hooked ever since then. I mixed my workouts with both the IMs and the PBs, and I enjoyed the PBs much more than the IMs, which was unexpected to say the least. Since I didn't want to be compulsive, I continued to mix my workouts with both sets of dumbbells for a couple weeks so I could come to a firm conclusion. In the end, the PBs won my favor. I sold my IMs on craigslist and proceeded to use the Elites. 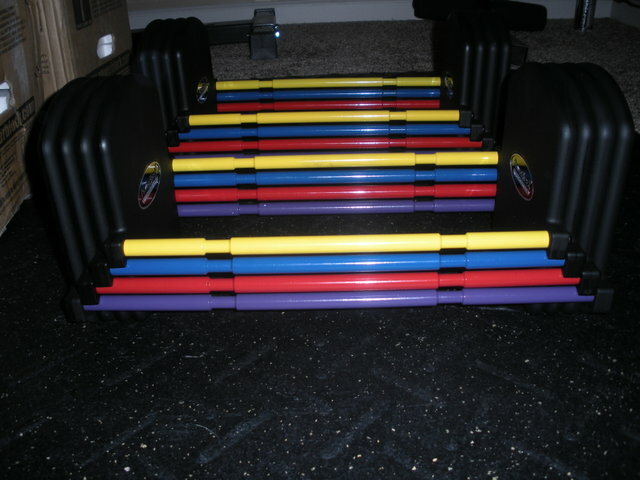 Now, the problem with the elites was the fact that I got them from a fitness club. They were not in the greatest condition, but not in bad condition either. You could tell they were a little mistreated though. I decided that it would be in my best interests to sell the elites so that I could buy a new set of PBs with a warranty. 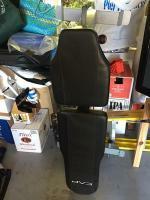 I had a couple of bites on my CL ad, and sold the elites for $600. 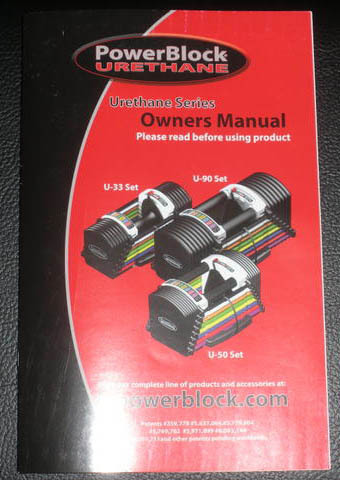 Five minutes after selling the elites, I went onto the Powerblock website and purchased the U-90s with a stand. Click Here to save money on sales tax when you buy online! Seeing as how there appears to be no reviews of this set, I figured I might as well offer one. 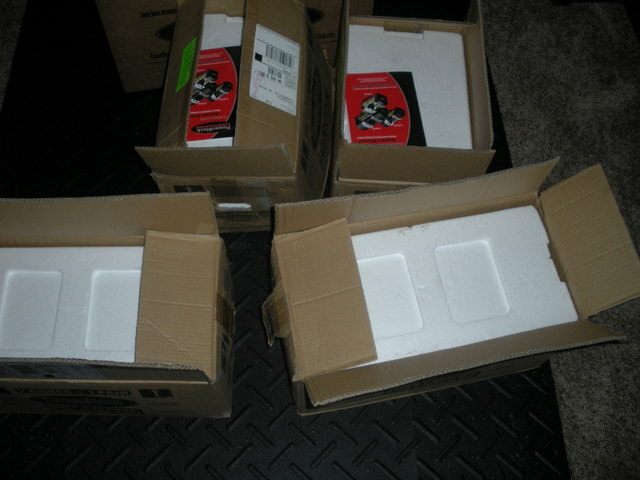 Starting off with shipping, the service was very fast. I ordered the U-90s over the weekend, and they shipped the following Monday morning. The facility they ship from is in Minnesota, and I'm in Northeast Ohio, so it only took two days to get here with UPS Ground. 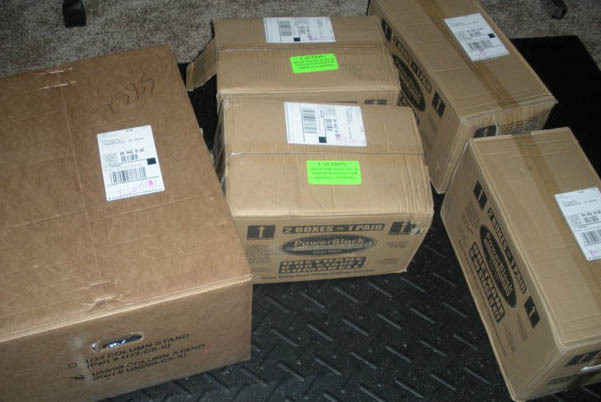 The shipment came in 5 packages: Two packages for the U-50s, two packages for the U-90 Stage II kit, and one package for the stand. Here's a close-up of the actual handle, because I know a couple people were interested in knowing what it was like. As you can see, it has the thick wrist padding of the Elites/Classics, but the Ergo-Grip/Tapered ends of the Sport 9.0s for the handle. In my opinion, this is the best of both worlds. I find it to be very comfortable, much more comfortable than the Elites. There is a little more space inside this handle than with the Elites, which will be a plus for those with bigger hands/thicker wrists. The handle gets a 10/10 for me. Moving on to the stand, it took about 30 minutes to assemble, and I was in no rush. Assembly consists of 18 screws/bolts and an allen wrench. 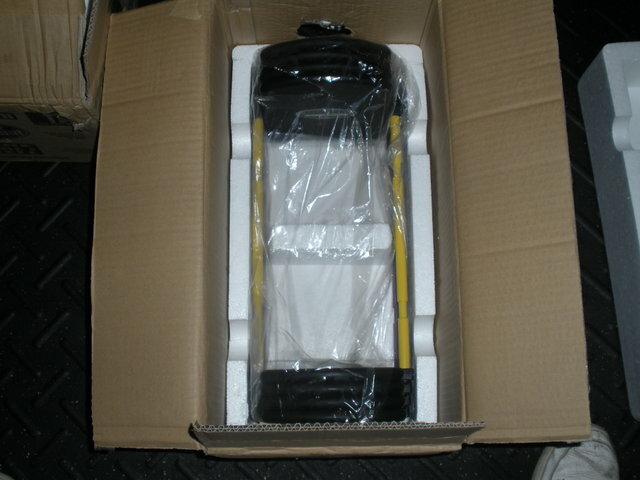 The bottom piece is made of a thick, sturdy plastic as opposed to metal like on the Elite/Sport stands. Also, the stand is black, which I think looks better also. Both types of stands are durable though. I give the stand a 10/10. One huge plus for the U-90s, which should not be taken lightly, is the fact that it comes with a LIFETIME warranty. Also, the warranty is NOT voided if you drop them. Additionally, the U-125 Stage III Kit is coming out in about a month, so I won't be stuck at 90lbs each for long. Here's the warranty information and the owner's manual for good measure. Warranty gets a solid 10/10 for obvious reasons. 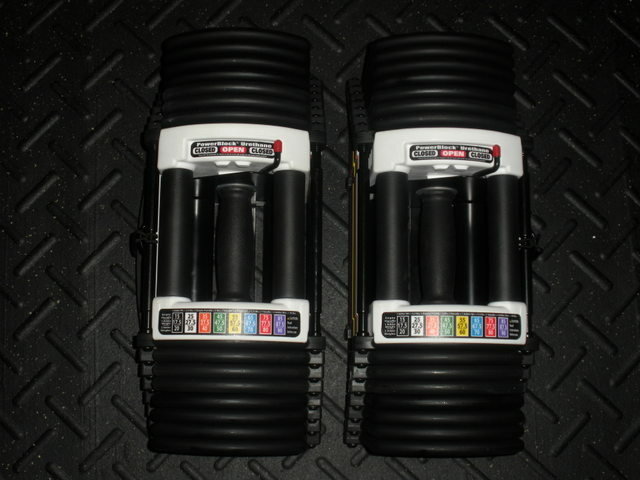 Now it's time to move on to the actual function and performance of the dumbbells themselves. 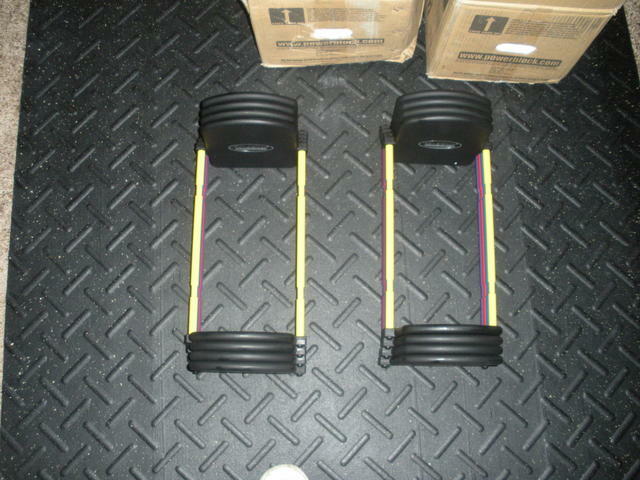 The U-90s are much quieter than the Elites/Sports due to the urethane coating. They make hardly any noise at all. For those of you, who are afraid of waking the neighbors due to rattling/clanging weights, fear no more. You could workout with these without waking up someone who is sleeping in the same room. Noise gets a 9/10. They don't get a 10/10 because they are not completely silent, like hexes, but that's a lot to ask for from an adjustable of this nature. The U-90s slide out much more smoothly than its iron colleagues. I never saw the sliding out of the Elites as an issue when pulling them out, but now that I have the U-90s, I can tell that they slide out much more smoothly, thus aiding with the reduction of noise. The selector pin is indeed much different than the metal one from the Elites/Sports. Some people thought this might be an issue, but it is not at all. The pin slides in just as easily as the metal one, if not more easily. Even the selector pin is smoother/quieter than the other models. 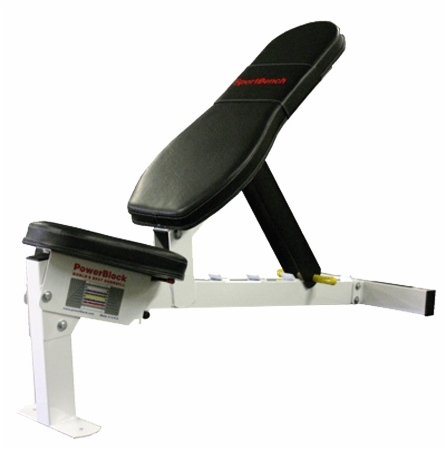 It takes less than 5 seconds to change from 30-90lbs, as always. 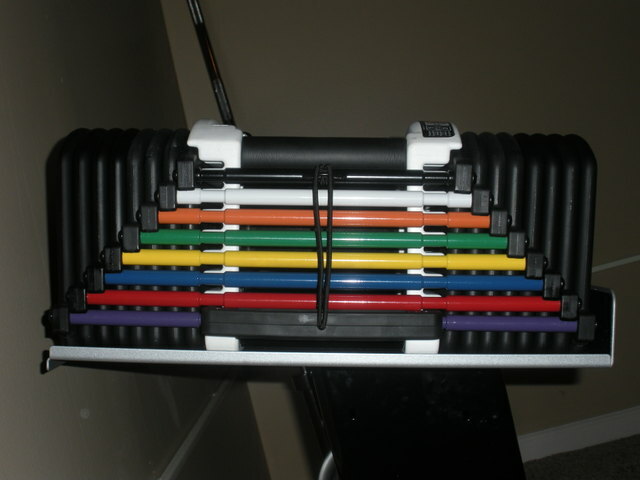 During the workout, you do not have to worry about the pin falling out at all, even if you were shaking the blocks like crazy for some reason or swinging them up and down (like cleans). The magnets are very strong, and one cannot just casually pull it out as if it were nothing. 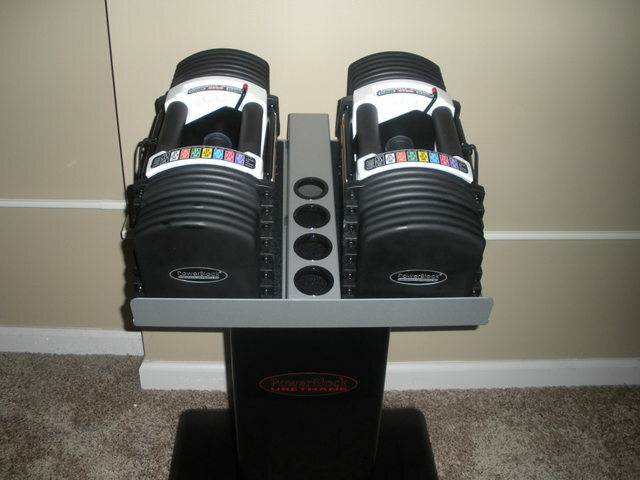 The Powerblocks are capable of doing every exercise possible except for two-handed triceps extensions and maybe pullovers. 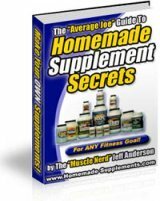 An easy remedy for the two-handed tri-extensions? One-handed tri-extensions. Wrist curls and reverse bicep-curls are able to be done and are not awkward. The blocks feel very balanced. I do not find them to be bottom heavy with the adder weights in place. Well, there's my review. I tried to comment on everything I could think of, but if anyone has questions that weren't answered in the review I'd be glad to answer them. In my opinion, these blocks were worth every penny, and I'm excited for the Stage III kit to come out.